▶Size: L 100cm × W 35cm × H 127cm. ▶Get organized and add design to your home décor at the same time. ▶Compatible with any other modern designed home decor,it is durable enough to last for many years. ▶Do not think our price is expensive, no matter the shape or material, or process, we are more careful, more outstanding. ▶ If you need more styles, please click our other products to find your favorite styles. ▶ Please feel free to purchase. If you have any questions before or after purchase, you can contact us at any time. We will actively adopt your friendly suggestions. ★ Place the product on a sturdy ground to enhance loading. ★ It doesn't matter if it smells, just leave it alone under ventilated place. ★ Due to different batches and manual measurement, please allow 1-3 cm differs and the slight difference of color of same size product, do not influence the use function. Thank your for your understanding. ★ All the above pictures are displayed, and the different display effects may be different. Please refer to the actual product. ★ This product has only one shelf, other decorations only provide effects, not included, hope to understand. 【Material ＆ color】: Iron. White / Black. 【Size】: L 100cm × W 35cm × H 127cm. 【Anti-slip bead design】: Anti-slip bead design on both sides of the suspension bar prevents clothing from falling off on both sides. 【Style】：Fashion simple style, not only can hang your clothes, but also wild, and with any furniture style. 【Delivery time】：10-15 working days. Return period 30 days. Direct sales by manufacturers. 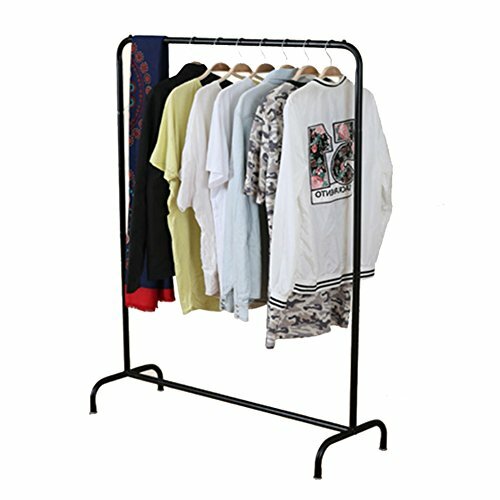 If you have any questions about this product by LXLA-Coat rack, contact us by completing and submitting the form below. If you are looking for a specif part number, please include it with your message.